For bare faced chic, look no further than Pennie. This platform shoe is part of our Bijou Signature Collection and made with the finest black patent leather. It has an almond toe, slim high heel and a 2cm hidden platform. So it’s the perfect way to add definition and height to your petite frame. We endeavour to make our shoes accurately to European and UK sizing but on occasion our shoe designs may mean that the size of the shoe has slightly altered. If this occurs we will indicate this on the shoe description. If upon receiving your shoes and they do not fit perfect please return to us within 14 days indicating your change of shoe size. We strongly recommend you try shoes on in a carpeted area. Shoes with clearly damaged soles will not be accepted back by us. Due to the delicate nature of our high quality leathers and suedes, you will be provided with a dust bag – we recommend its use to help maintain the appearance of your shoes during storage. 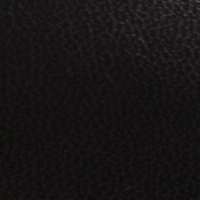 Patent leathers are susceptible to discolouration due to the plasticisers used to prevent cracking of the patent finish. Discolouration can happen to any colour patent leather but is more perceptible on light shades. To avoid discolouration, keep your patent leather item in its dust bag and try to avoid contact with darker coloured items. Colour fastness cannot be guaranteed on suede or leather pieces, try to avoid contact between them and paler materials. Due to the fine nature of our suede shoes, extra care should be taken when cleaning. Gentle use of a suede sponge will remove most stains. Regular use of a protector spray will help to guard against staining and water penetration – however the protector spray will not make your item waterproof. Petite Shoe Boutique shoes are made from the finest leather and it is advisable to alternate wear to prolong their life. Remove the clear protective film from the soles of your new shoes before wearing. Our Leather soles are a natural product and are porous in wet conditions - to maintain the life of your Petite Shoe Boutique shoes we recommend that fine half rubber soles are fitted. Leave wet shoes to dry naturally, never use artificial heat. Use a shoe tree or stuff them with newspaper to help maintain the shape of your shoes whilst drying. Top pieces on heels (heel caps) are a replaceable component. Do not allow them to wear down – they should be replaced regularly by a reputable shoe repairer. Use a shoe horn to prevent damage to the back of your Petite Shoe Boutique shoes when putting on and taking off. Wearing shoes on very uneven, abrasive surfaces or when driving may weaken the shoes and could spoil the leather sole or intricate components. Thin and delicate heels must be worn with extra consideration. Shoes embellished with beads and sequins are especially delicate. Please take particular care when wearing them as scuffing may damage them. Insoles on mules and sandals may lift due to heat and perspiration. This is an unavoidable consequence of normal wear, but can be remedied by re-sticking, a very simple job that any reputable shoe repairer can do. Petite Shoe Boutique Ltd © 2019. All Rights Reserved.